Security flashlight features 3W LED with 70 lumens of light output. Specially designed reflector provides a strong focused beam. Heavy-duty anodized aluminum has knurled grips. 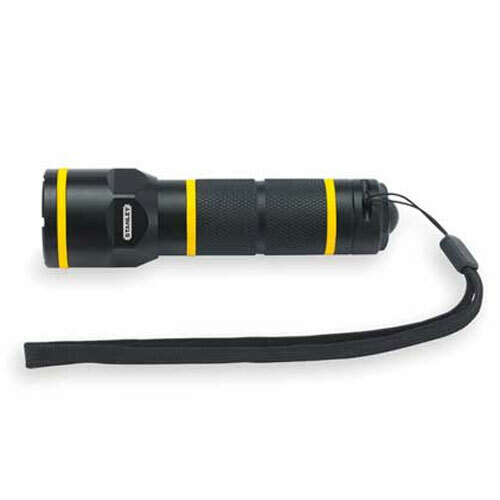 Weather-resistant flashlight features high visibility yellow band, shatterproof lens and rear push button. Uses three AAA batteries (sold separately).